Grace Baptist Church began September 23, 2012. God, through a series of events, allowed us to start Grace Baptist Church in a local hotel conference room. 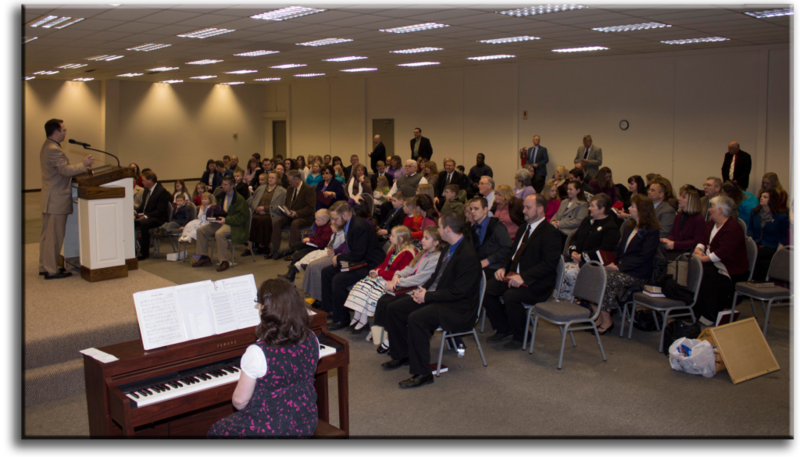 God’s people organized and asked Dr. Craig Bush to pastor them. We are now currently meeting at 3160 Charles Town Road, Kearneysville, WV, just across from the Veterans Hospital in Martinsburg, WV. In the first 6 months, our church has had a 50% growth in average attendance and a big day of 193. The spirit at Grace is exceptional. We have a spirit of revival! The music is old-fashioned and exciting, our people are friendly, and God’s hand is on our church. We have first-class nursery facilities and Sunday school for all ages. Our services are exciting as we see lives being changed regularly. We hope you give Grace a try. It is a great place for families or singles to come. It is an old-fashioned Baptist church where God has chosen to make His presence real. We believe it is the place for you.